The following only applies to RTV Dealer websites. 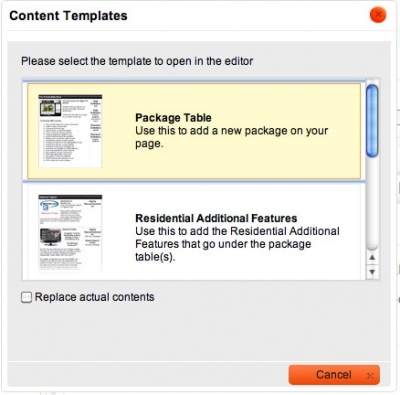 Package Table: Use this template to place one package table onto a page. For multiple packages, use it over again, as many times as you'd like. Remember, to place a package immediately below another package, place your cursor to the right of the package above it, not below the package. Residential Additional Features: For residential package pages, these standard additonal features are already laid out for you. Place your cursor to the right of the last package on the page, and then select the Residential Additional Features to place them below your package. 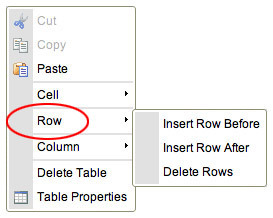 You only need one Addtional Features table per page.